Demand Design PLUS™ is a supply and mixed asset-driven deployment of Tangent AMP DERMS technology. In cases where it makes both operational and economic sense, Demand Design PLUS™ enhances the energy economics of Demand Design™ by adding and optimizing Distributed Energy Resources (DER) to customers’ energy systems. Tangent Energy experts are trained to identify when the addition and/or integration of DER can improve economic results. In cases where new generation or other DER is already planned, Demand Design PLUS™ ensures that all systems are configured to interact holistically and integrate into the grid in a way that maximizes economic results. 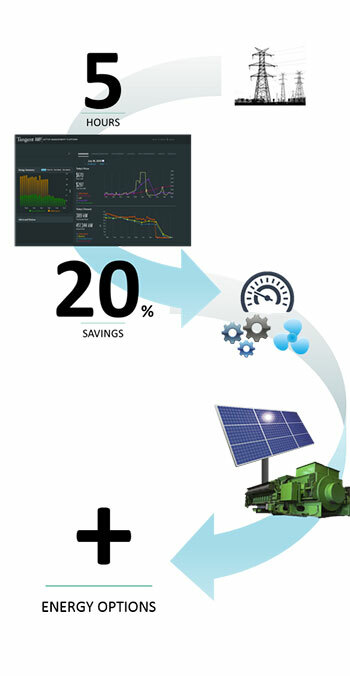 Working through a top-tier network of energy equipment providers, controls companies and financing resources, Tangent provides a turnkey DER solution that includes sourcing, financing, configuration and integration.